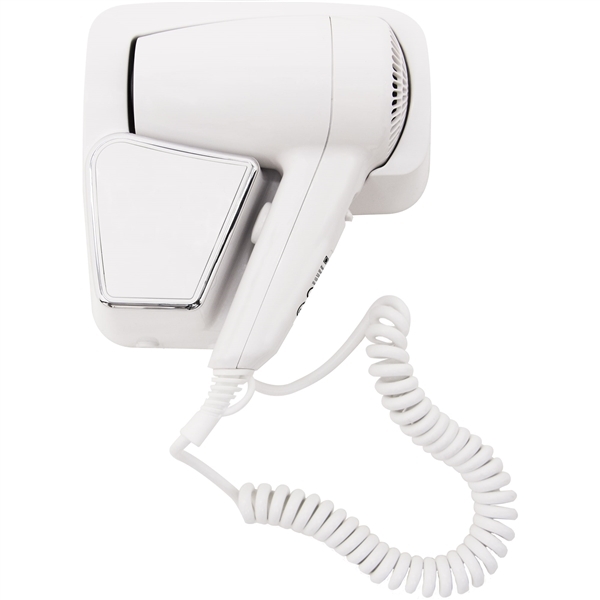 This durable white hairdryer with ergonomically designed handle and moulded cradle can be wall mounted or concealed in a drawer to reduce clutter. and all fixings included. CE marked.